Horus News Reader 1.1 (Mac App Store link) is an RSS reader that separates itself from the rest of the herd by placing an immense importance on design and the graphic presentation of stories. If you’ve every used—and loved—mobile news apps like the Pulse, then you’ll feel right at home using Horus. Horus News Reader comes with three stock color themes that can be applied to change the overall look of the app. You add sites to your reading lists by clicking the “add feed” button and then pasting in the URL of the site. You can then name the feed and also assign a color code. After that simple setup, Horus is ready to display your news. Stories are displayed horizontally as small square tiles that have the name of and art from the article. Using your mouse or track pad allows you to easily swipe across the story list and choose which story to view next. 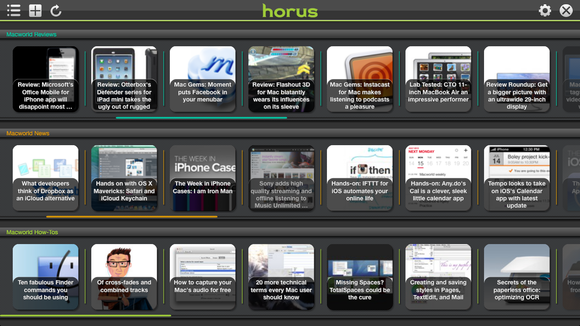 After clicking a story box, Horus opens the story in a new window. 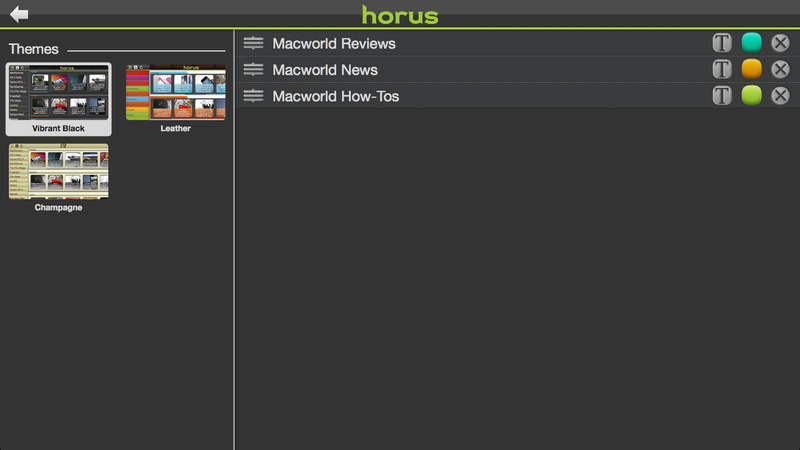 Although it takes longer to read numerous articles in a row than it would on more traditional stories, the experience of using Horus is better than most RSS readers I’ve come across. Horus News Reader displays news stories gorgeously and is a joy to use.